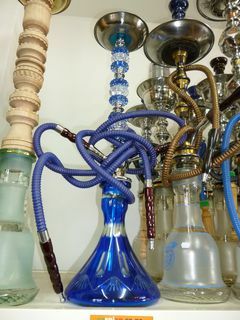 The classic shisha, hookah or naklha pipes of the Middle East. Here are the new disposable Hookah pipes pre-loaded with flavoured liquid heated and vapourised to form the same type of mist droplets as e-cigs. There is no ignition-with-a-flame required to create the flavoured mist as smoke is not produced in this form of flavoured inhalation.